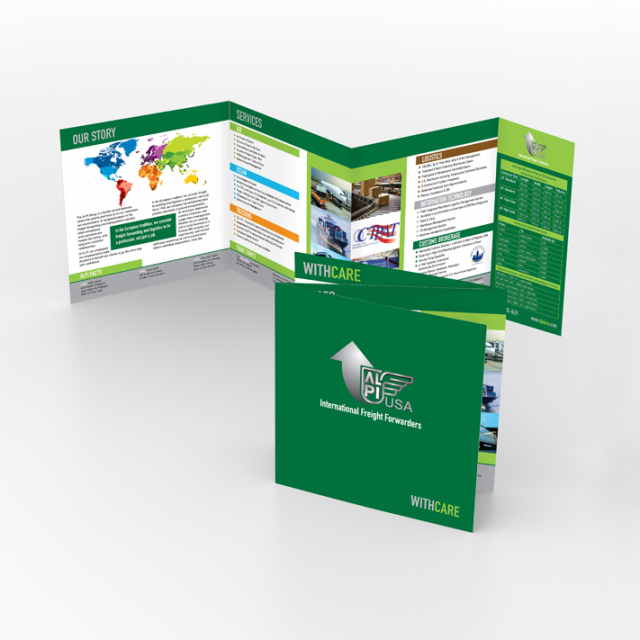 ALPI, USA is a division of the international freight company operating around the world. The company came to us needing a rework of the logo for the USA division. 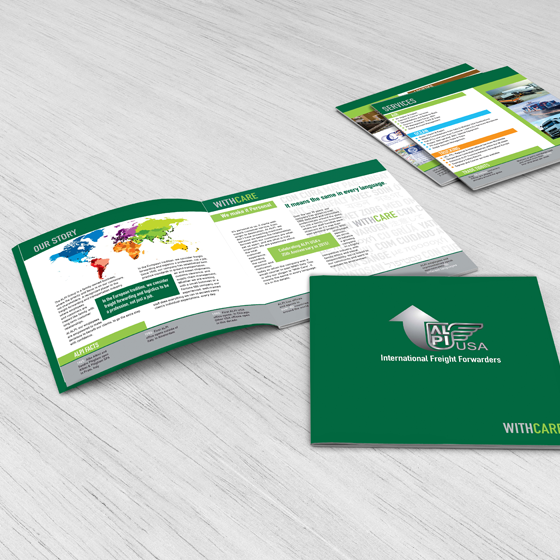 We moved on to do business cards, brochures, flyers, postcards, mousepads and calendars. 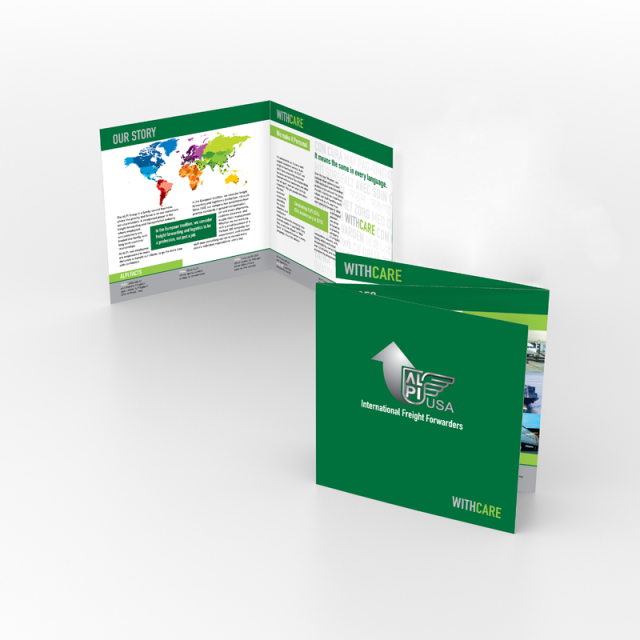 For this project, they needed a brochure that displayed their information in a clean and informative manner. 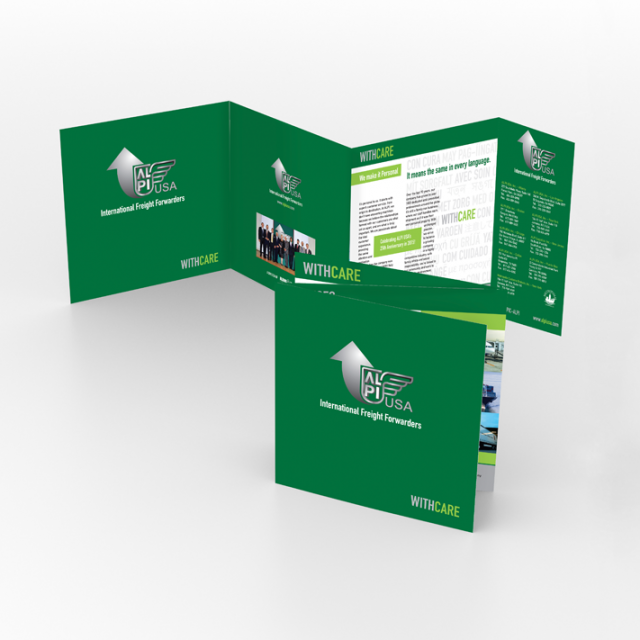 We went with an innovative 3 1/2 panel folded design to show their services off in an eye catching way. ALPI has been a client of 1-Stop’s for almost 2 years now.